Zsolt Szabo is currently pursuing a Doctor of Musical Arts degree in Trombone Performance and Pedagogy at the University of Iowa. Winner of the prestigious Iowa Performance Fellowship Award, Mr. Szabo is studying with Dr. David Gier. 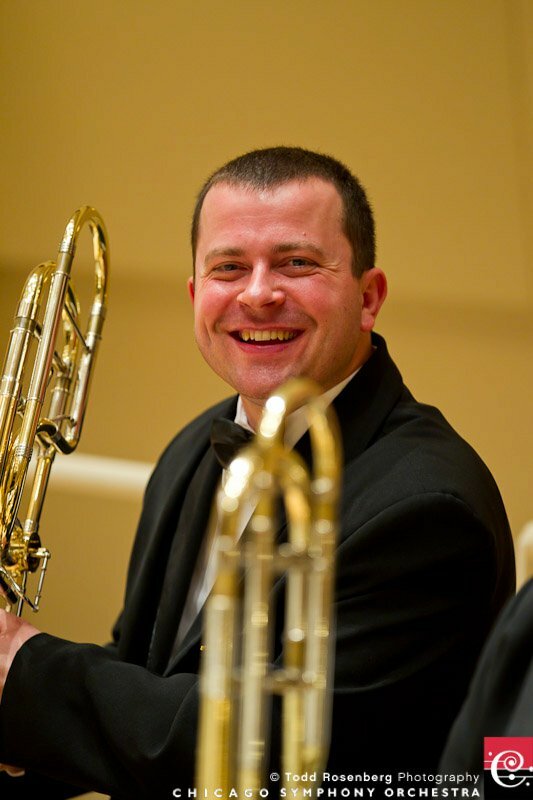 Zsolt is currently Principal Trombone of the Ars Viva Symphony Orchestra in Chicago appointed by Alan Heatherington and is Principal Trombone of the Chicago Folks Operetta Orchestra. Previously, Zsolt held full time positions in the Civic Orchestra of Chicago and Transylvania Symphony Orchestra (Romania). Throughout his career, Zsolt has worked with conductors such as Riccardo Muti, Pierre Boulez, David Robertson, Xian Zhan, Esa-Pekka Salonen, Jaap van Zweden, Erik Nielsen, Markus Stenz, Larry Rachleff, and Cliff Colnot. Zsolt has performed and toured with Pierre Boulez and the Chicago Symphony Orchestra and has also performed with the Illinois Symphony Orchestra, Lake Forest Symphony Orchestra, Illinois Philharmonic Orchestra and Northwest Indiana Symphony. In the Spring semester of 2012, Zsolt was a Trombone Lecturer at Western Illinois University where he was responsible for teaching the trombone studio and playing in the LaMoine Faculty Brass Quintet. He has also been a guest at Illinois State University, Illinois Wesleyan University, and The Liszt Ferenc Music Academy in Budapest, Hungary where he presented master classes and performed several concerts. During the summer, Zsolt is the Trombone instructor for the Western Illinois University Summer Music Camp as well as the Low Brass instructor for Lowell High School and Grimmer Middle School. In 2010, Zsolt received a Performance Diploma from Roosevelt University as a student of Chicago Symphony Orchestra Principal Trombone, Jay Friedman. Zsolt graduated with a Master of Music Degree in Trombone Performance from Western Illinois University in 2007 and previously earned a Bachelor of Music degree from “Gheorge Dima” Music Acedemy in Cluj , Romania. Zsolt also studied with Michael Mulcahy, Charlie Vernon, Pete Ellefson and Nitzan Haroz.